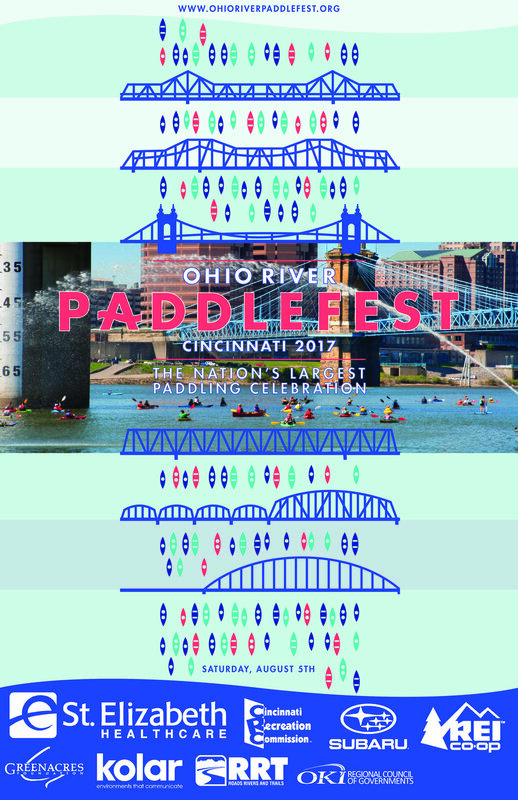 This design system was developed as an identity for the 2017 Ohio River Paddlefest. 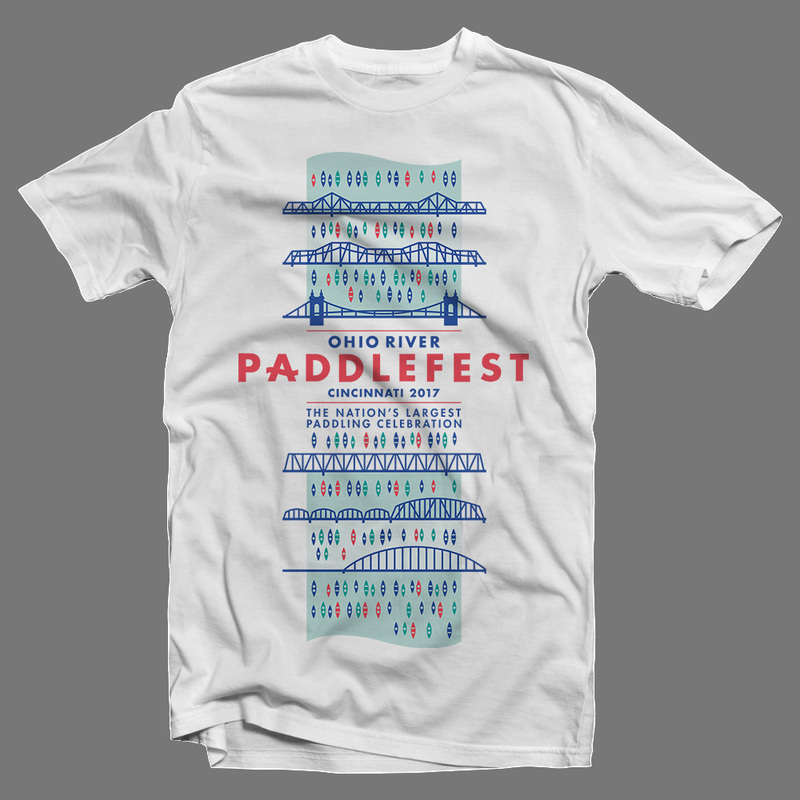 Paddlefest is an annual paddling trip and celebration event in Cincinnati, Ohio. 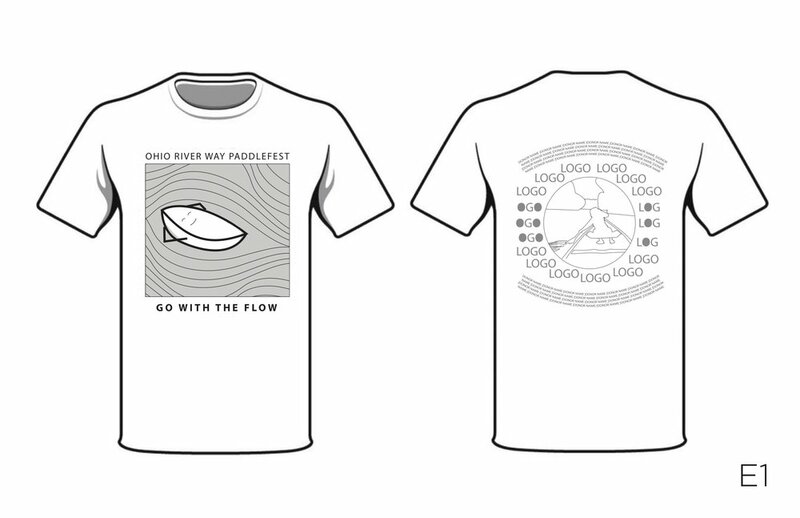 The project included design of a commemorative program seal, and development of a concept for the year's Paddlefest t-shirt which embodies the themes and values of the Paddlefest community. These themes are paddling, togetherness/community, connection, journey, Cincinnati, the river, water, boats. The design system includes t-shirts, poster, and hat. This project began as a tribute development for the late Chelsea Manning, director of programs for Outdoor Adventure Clubs (OAC), an organization closely tied to Paddlefest. 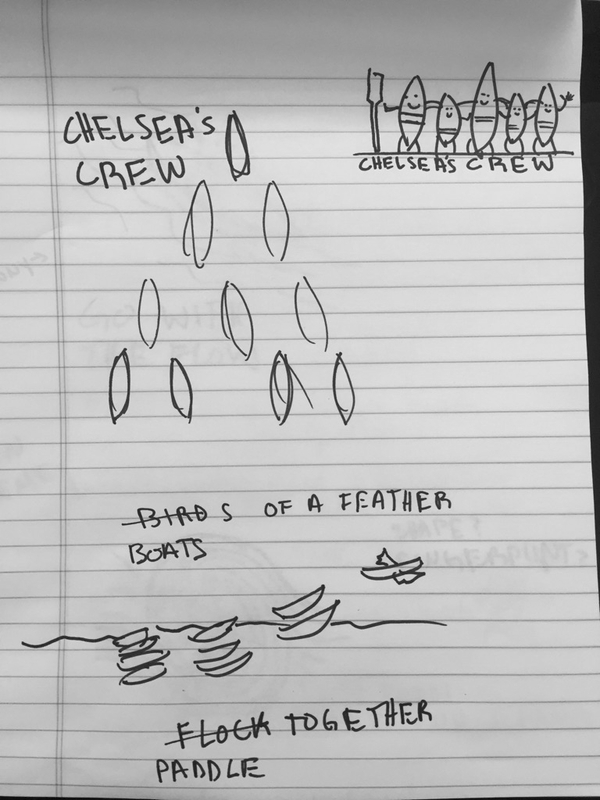 In order to celebrate and honor Chelsea's life, the joint program of OAC and Paddlefest which sponsors students from local urban schools to attend Paddlefest, was renamed Chelsea's Teens on the Water. Special t-shirts were printed for the event with a new program seal honoring Chelsea through a pictogram based on her childhood picture, and a tagline of her inspiring motto "You got this!". Phases of the project included meeting + empathizing with the client, ideation, concept development + presentation, concept refinement, design finalization, production of art file preparation, coordination with printers.